Non-Steroidal Anti-Inflammatory Drugs (NSAIDs) & Sports Injuries. Despite the risk of side effects, the medical community has considered the safety/efficiency ratio satisfying enough to accept the administration of NSAIDs. With recent data however such a practice should be seriously scrutinized. For many years the prescription of NSAIDs for all kind of sport injuries (soft tissue injuries, tendon injuries and bone fractures) has been a staple of sports medicine. NSAIDs have well established analgesic effects, but also proven side effects, most prominent among them being the risk of gastric ulcer and renal failure (especially in long term administration). And in the case of COX-2 inhibitors, CVS damage. Despite the risk of side effects, the medical community has considered the safety/efficiency ratio satisfying enough to accept the administration of NSAIDs. With recent data however (both on the biological mechanisms of NSAIDs action and in vivo studies regarding their ability to impair healing), such a practice should be seriously scrutinized. Since the discovery of aspirin in 1899 there has been detailed research on the mechanism of NSAID action. NSAIDs work by blocking the formation of prostaglandins (PGEs) from arachidonic acid. They do this by inhibiting the enzyme Cyclooxygenase. Although it was previously believed that only one type of the cyclooxygenase enzyme existed, recent research has proved that there are two types of cyclooxygenase enzyme, COX-1and COX-2. COX-1 is stimulated continuously by normal body physiology. The COX-1 enzyme is constitutive, meaning that its concentration in the body remains stable. It is present in most tissues and converts arachidonic acid into prostaglandins. These prostaglandins in turn stimulate normal body functions, such as stomach mucus production and kidney water excretion, as well as platelet formation. The location of the COX-1 enzyme dictates the function of the prostaglandins it releases. Thus, COX-1 produced prostaglandins in the stomach cause regeneration of the gastric mucus. This is believed to be the primary ulcer-inducing mechanism of NSAIDS, although some scientists believe that aspirin can also have a direct corroding effect on the gastric mucus, especially if it is undiluted. Inhibition of COX-1 also causes a drop in renal water excretion and reduces kidney blood flow, thus inducing renal damage in long term NSAID usage. In contrast to COX-1, the COX-2 enzyme is induced, meaning it is not naturally present in the body, but its expression can be greatly increased by macrophages: the scavenging white blood cells. COX-2&apos;s most important role is in inflammation, where PGEs along with leucotrienes, interleukins and prostacyclins induce the usual symptoms of inflammation, such as increased blood flow to the tissue, increased temperature, redness, swelling, pain and increased concentration of white blood cells. In the end this process (although unpleasant), causes isolation of the damaged area, mobilizes effecter cells and molecules to the site and thus promotes healing. Furthermore, the PGE production blockage can cause increased leucotriene production which can in turn cause increased tissue damage. On the bad side, inflammation increases free radicals, increases risk for cancer and other degenerating diseases such as Alzheimer and is responsible for many allergies. In conclusion, looking at the mechanism of inflammation one can easily deduce that, although NSAIDs will alleviate symptoms, in the end they will inhibit the body&apos;s normal healing mechanisms and also put the subject at the risk of side effects: with ulcers and renal failure the most common. Following the discovery of COX-2, pharmaceutical research developed drugs that could specifically inhibit this enzyme. Such drugs include celecoxib (Celebrex) and rofecoxib (Vioxx). These drugs have been shown to be superior to first era NSAIDs such as aspirin and ibuprofen, as they have significantly less chance to induce ulcer and renal failure. This initially caused many doctors to consider the use of them as a superior alternative to old NSAIDs that inhibited both COX-1 and COX-2. However, due to the fact that they could not inhibit thromboxane formation (an action responsible for the cardio protective function of first class NSAIDs), it was soon found that they increased the probability of causing cardiovascular infraction. Cyclooxygenase (COX) is an enzyme that is responsible for formation of important biological mediators called prostanoids (including prostaglandins, prostacyclin and thromboxane). Pharmacological inhibition of COX can provide relief from the symptoms of inflammation and pain; this is the method of action of well-known drugs such as aspirin and ibuprofen. Following some incidences of death from CVS failure, rofecoxib was withdrawn from the market and celecoxib is only recommended for the treatment of rheumatoid arthritis and osteoarthritis at low dosages. Thus, the rest of the article will assume that no doctor nowadays will prescribe such an NSAID to treat a sport injury, and will not analyze the effectiveness (or lack of it thereof) of COX-2 inhibitors for the treatment of sports injuries. Exercise induced muscle injury is the most common type of sports injury in most sports. It is generally accepted that EIMI is induced from the strain imposed by repeated eccentric contractions during exercise and comes with direct proportion to the intensity and novelty of the exercise. Muscle contractions in which the muscle lengthens as opposed to shortening. Such as: The down phase of a bench press. Thus, weightlifters are typically at greater risk of EIMI than athletes that train with relatively lower poundages and higher repetitions. Although explaining the mechanism of EIMI is beyond the scope of the current article, it can be said that the most accepted theory is that, following intense exercise, muscle fibres are immediately disrupted and force production is reduced. As a result, myofibrils may become disoriented and the plasmalemma, cytoskeletal framework and non-contractile tissues become damaged. This results in the beginning of the inflammation process that serves to remove damaged muscle tissue and is also integral to muscle repair and adaptation in exercise. It is traditionally thought that this process is accompanied by additional loss of muscle tissue and strength for the following 24-48 hours. However a recent review by Warren EL does not support this traditional view. The most troubling effect accompanying EIMI apart from pain, is the loss of muscle strength. Strength, a primary marker of muscle function, is usually reduced by 30-60% 24-48 hours after exercise and if other factors that suppress muscle recovery exist (such as protein deficit diet and lack of sleep) may remain suppressed for up to two weeks. Current data suggests that NSAIDs may indeed reduce loss of muscle strength following exercise, improve muscle motility and reduce soreness. This data however corresponds to the use of NSAIDs for acute strength loss. Long-term usage of NSAIDs (more than 1-2 days) is widely believed to be counterproductive for muscle recovery, as inflammation is an integral part of the recovery process. However, all current research suggests that upon the passage of two or more weeks, muscle recovery will be the same, whether the subject uses NSAIDs or not. One may safely conclude that NSAIDs can be used as a short-term measure (1-2 days) to alleviate pain and soreness, but after this the patient should rely on more traditional recovery methods (protein consumption, restful sleep and rehabilitation exercises of the muscle). A tendon is composed of densely arranged collagen fibers, elastin, proteoglycans and lipids. 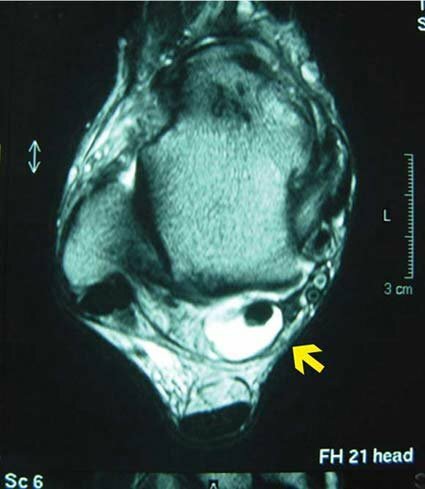 It is covered by the epitenon, which contains the tendon&apos;s neurovascular supply. Muscular force is transmitted to the skeleton at the point where the tendon inserts into bone. The cause or chronic tendinopathy is usually degeneration with little evidence of inflammation. Even though inflammatory tendinopathies exists, in most chronic tendonitis cases by the time the patient seeks medical help the inflammation/pain will have subsided. 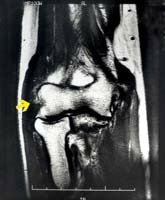 The usage of NSAIDs has been shown to alleviate pain in some cases of tendonitis: lateral epicondylosis has shown increased abduction in rotator cuff disease, but has no efficacy in treating Achilles tendinopathy. When I give lectures and talk about glucosamine and chondroitin sulfates (G&CS), most people are surprised to learn that these two natural substances are beneficial for both young and old. Because of the risk of NSAIDs worsening tendon damage through enhanced leucotriene production, the fact that NSAIDs have no distinct advantage over non-NSAID pain relieving medication and the chronicity of most tendinopathies (which makes the occurrence of GI/renal/CVS side effects much more probable), the usage of oral NSAIDs for treatment of tendon injuries should be considered inappropriate. 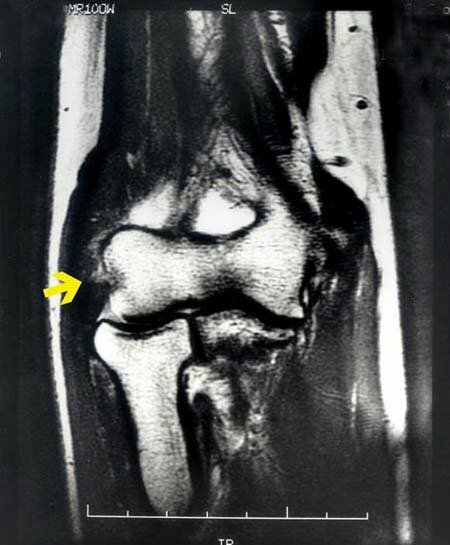 Tendon injuries, such as in lateral epicondylosis (tennis elbow, left) and tibialis posterior tenosynovitis (right) can be recalcitrant to treatment; conventional treatments such as non-steroidal anti-inflammatory drugs and corticosteroid injections may have a short term analgesic effect, while there is some evidence of efficacy with newer treatments such as topical glyceryl trinitrate therapy. Animal studies have shown that NSAIDs can inhibit spinal fusion both in rat and rabbit models. In one retrospective analysis, ketorolac was shown to delay spinal fusion in humans and a study conducted on 99 patients with femoral diaphyseal fractures showed that 32 out of 99 patients developed impaired healing. This study didn&apos;t show any relationship between rates of union and types of fixation, but showed a strong connection between NSAID use and delayed healing. Other studies comparing COX-2 specific NSAIDs versus non specific NSAID ketorolac showed that COX-2 specific NSAIDs have much less inhibitory effects on bone healing than general NSAIDs. Representative histological sections of fracture calluses from control and ketorolac-treated animals at 21 days. Panel (A) tissue morphology at 40x magnification, hematoxylin and eosin. Panel (B) selected area analysis at 200x magnification. Despite recent findings showing the limited use of NSAIDs in sports injury treatment and their inferiority to non-NSAID analgesics (like Codeine), they are still considered by many doctors as a first class option for the treatment of sports injuries and alleviation of pain. Although the writer of this article in no way condones patients seeking self-treatments and disobeying their doctor&apos;s advice, it is a good idea to question your doctor based on the data we have, and to ask them why they prescribe NSAIDs. NSAIDs definitely hold great therapeutic value in managing inflammation and pain. However their ability to impair healing should never be overlooked. Lipsky PE. Introduction. The role of COX-2-specific inhibitors in clinical practice. Am J Med 2001;110(Suppl 3A):1S-2S. Allen DL, Wase A, Bear WT. Indomethacin and aspirin: effect of nonsteroidal anti-inflammatory agents on the rate of fracture repair in the rat. Acta Orthop Scand 1980;51:595-600. 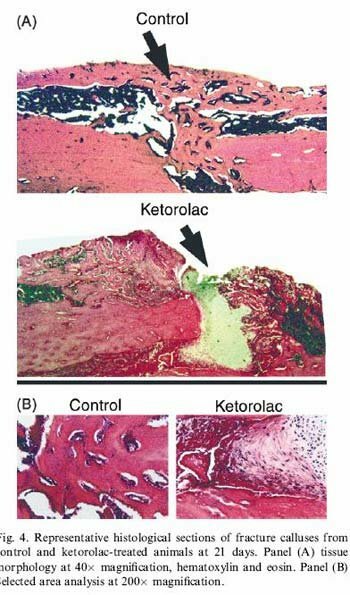 Altman RD , Latta LL, Keer R, Renfree K, HornicekFJ, Banovac K. Effect of nonsteroidal anti-inflammatory drugs on fracture healing: a laboratory study in rats. J Orthop Trauma 1995:392- 400. Engesaeter LB, Sudmann B, Sudmann E. Fracture healing in rats inhibited by locally administered indomethacin. Acta Orthop Scand 1992;63:330-3. Giannoudis PV, MacDonald DA, Matthews SJ, Smith RM, Furlong AJ, De Boer P. Nonunion of the femoral diaphysis. The influence of reaming and nonsteroidal antiinflammatory drugs. J Bone Joint Surg Br 2000;82:655-8. Glassman SD, Rose SM, Diamr JR, Puno RM, Campbell MJ, Johnson JR. The effects of post operative nonsteriodal anti-inflammatory drug administration on spinal fusion. Spine 1998; 23:834-8. Lipsky PE, Brooks P, Crofford LJ, DuBois R, Graham D, Simon LS, et al. Unresolved issues in the role of cyclooxygenase-2 in normal physiological processes and disease. Arch Intern Med 2000;160:913-20. Martin GJ, Bode SD, Titus L. Recombinant human bone morphogenetic protein-2 overcomes the inhibitory effect of Ketorolac, a nonsteroidal anti-inflammatory drug (NSAID), on posterola teral lumbar intertransverse process spine fusion. Spine 1999;24: 2188-94. Simon AM, Manigrasso MB , O_Connor JP. Cyclooxygenase 2 function is essential for bone fracture healing. J Bone Miner Res 2002;17:963-76.